Peace Paper Project is an international community-arts initiative that utilizes traditional paper making as a form of trauma therapy, social engagement, and community activism. 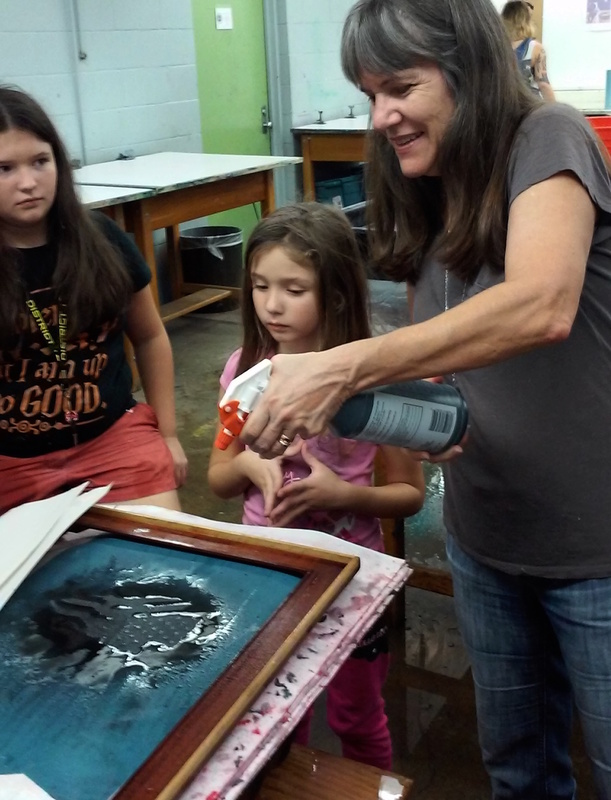 Through workshops that incorporate hand papermaking, writing, bookmaking, and printmaking, participants collaborate to transform significant articles of clothing into works of art that tell personal stories and facilitate mutual understanding and healing. Since 2011, Peace Paper Project has conducted over two hundred workshops worldwide in conjunction with community leaders, mental health professionals, and art therapists. They have helped launch twenty-three studios that use paper making as a form of healing and community engagement. 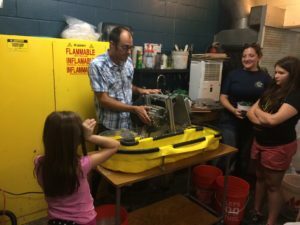 The FSU Veteran’s Center is the first university center servicing student veterans that has purchased hand papermaking equipment for its student veterans. 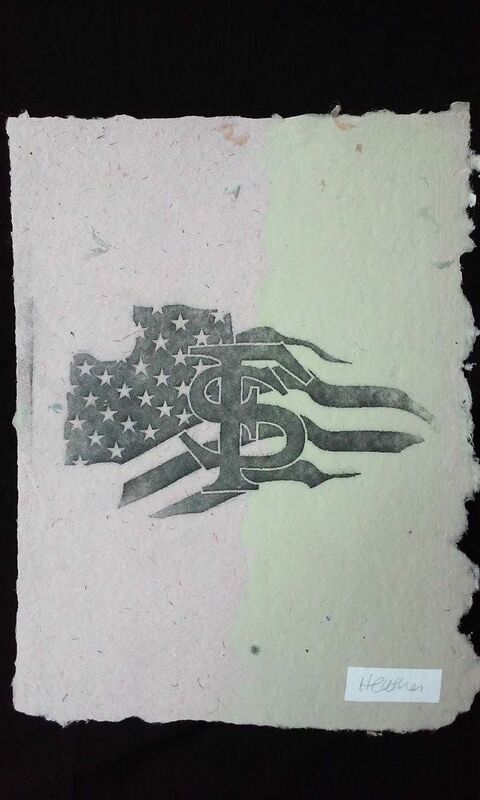 This is a tremendous triumph for FSU as well as for hand papermaking. 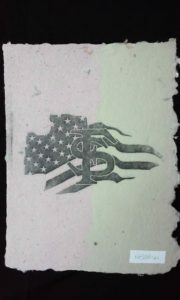 The student veterans of FSU will serve as the torchbearers for a tradition of transforming clothing into paper that is nearly 2000 years old. 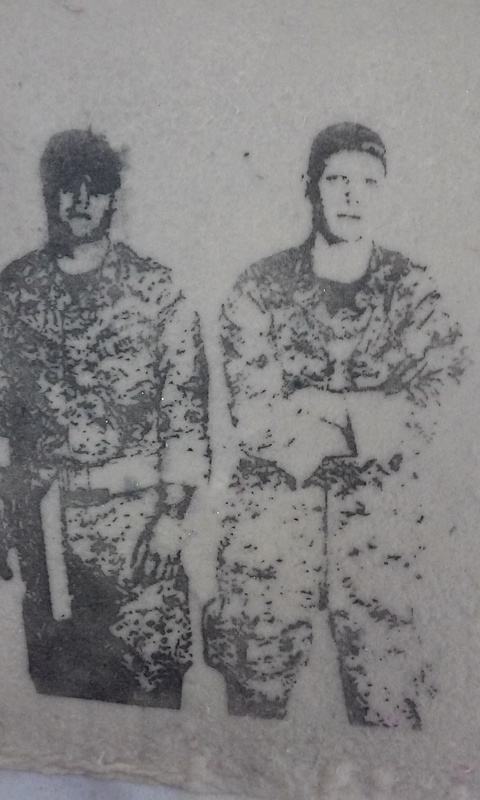 Peace Paper Project honors this commitment to the practice, and for the third year in a row and held an in depth papermaking workshop for student veterans titled, Julian’s Creative Arts Workshop, in memory of Julian McMackin. The event took place at FSU’s printmaking studio located in the Kellogg Research Building. The workshop was lead by Drew Matott, who co-founded the Combat Papers and Peace Papers Projects. He has used papermaking and the book arts as a form of social engagement, advocacy, therapy and community building in India, Germany, United Kingdom, France, Turkey, Spain, Kosovo, and Poland. You can learn more about him and his work at http://www.peacepaperproject.org. Drew will be giving a workshop titled, Papermaking as Personal Expression on November 7-8 at FSU’s Small Craft Advisory Press (Facility for Arts Research) To sign up for this workshop, register online at artsresearch.fsu.edu/events/ by October 1, 2015. For additional information on the workshop contact AB Gorham at agorham@fsu.edu.